Janardhana Swamy served as a Member of Parliament (Lok Sabha), India (2009-2014). In 2009, he was elected to the 15th Lok Sabha in the Parliament of India from the Chitradurga Lok Sabha Constituency. He holds a bachelor's degree in engineering (instrumentation technology) from U.B.D.T. College of Engineering, Davangere, and a master's degree in engineering (electrical communication) from the Indian Institute of Science. 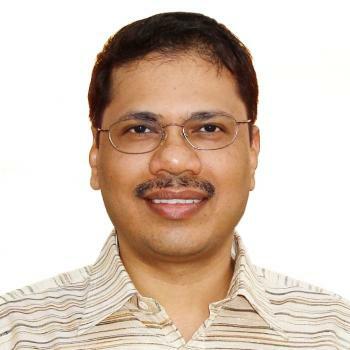 Before contesting in the India's General Elections in 2009, Janardhana Swamy worked as a full-time party worker of Bharatiya Janata Party (BJP) and served as the president of BJP IT Cell (Karnataka Division). Prior to this, he gained more than a decade of experience in India, China, Taiwan, and America's Silicon Valley. He worked in various engineering and management positions at Cisco, Dell, Sasken, Cadence Design Systems, and Sun Microsystems. His articles have appeared in IEEE, IETE, and other publications, and he has obtained a US patent for testing embedded cores in multi-core integrated circuit designs in 2004. Janardhana Swamy is the only son for his father Venkatappa and mother Chinnadevi. His father Venkatappa was a primary school teacher who relentlessly worked for providing awareness and education to the poor children in the rural villages of Karnataka, India. Janardhana Swamy studied in the Kannada medium until his 10th class. In addition to the engineering and technology, Janardhana Swamy's interests and skills include art, literature, education, economy, agriculture, and governance. Janardhana Swamy is also a member Indian Institute of Cartoonists. Direct Railway Line: Janardhana Swamy, along with Davangere MP GM Siddeshwara and Tumkur MP GS Basavaraju, played an important role in sanctioning the direct Railway connection between Chitradurga and the state's capital Bangalore. Efforts from these three MPs led to convince BS Yeddyurappa, the then Hon. Chief Minister of the Karnataka State, to contribute upto 50% from State funds to the project in addition to providing the required land free of cost from the State government. With the help of State and support from Minister of State for Railways KH Muniyappa, and with the support of Railway Horata Samiti and Swamijis and people, the 40 year struggle has now resulted in a meaningful outcome for the Chitradurga constituency. First time, the Davangere-Chitradurga-Tumkur Direct Railway project was sanctioned & announced in the 2009-10 Railway Budget presented on 24-Feb-2010. It was was approved by the Planning Commission (India) on 19 September 2010. Upper Bhadra Project: The Upper Bhadra Project is aimed at providing drinking water to the drought prone Chitradurga. Janardhana Swamy worked very closely with the State government on this project. The project, with the total investment of Rs. 6000+ crores (about $1.5B USD), is known to be making a good progress. India's Largest R&D Hub: The Chitradurga is getting converted into India's largest research and development hub with Defence Research and Development Organisation (DRDO), Bhabha Atomic Research Centre (BARC), Indian Institute of Science (IISc), Indian Space Research Organization (ISRO), and Synchrotron lab coming there. The establishment of these institutions were in discussion from a significant time. Swamy's predecessor NY Hanumanthappa and several other people also played an important role in providing support. State government decided to provide the land at Chitradurga. Now Swamy is also working closely with these organizations at various levels for a faster implementations of the projects while protecting the interests of the people of the Constituency.